These are ASUS Q525UA-BI7T11 drivers for Windows 10 64 bit you can download and install to get your laptop operate properly. 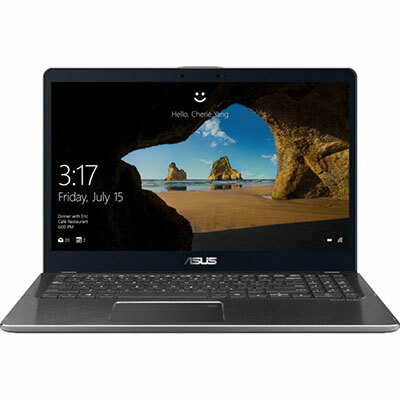 The ASUS Q525UA-BI7T11 is 15.6-inches convertible laptop powered by 8th generation 1.8 GHz Intel Core i7-8550U quad-core mobile processor with integrated Intel HD Graphics 520 video card. This ASUS notebook comes with 16 GB DDR4 2400MHz SDRAM memory and 2TB 5400RPM SATA hard disk drive for storing your documents. This mobile computer features HDMI port, multi-format card reader (SD/SDHC) slot, USB 3.0 port, 802.11 AC WiFi, Bluetooth V4.1, 1.6 W speakers (Harman Kardon), 1MP web camera, and 3-cells polymer battery.